The KDA name originated in about 1972, when a business purchase deal was created and Kenwood Gardens was spawned. The KEN of course is my first name, and the WOOD from part of my mother’s maiden name. Over time, Kenwood Design evolved, and then Kenwood Design Associates, until now the KDA acronym stands pretty much alone. 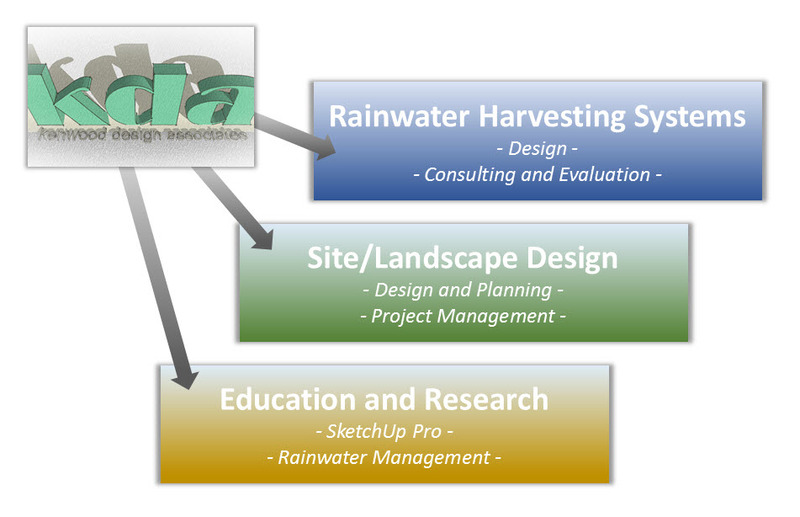 All that said, it’s not a huge conglomerate or multinational corporation, but an identity with which I get to do site and landscape planning, some training and educational contracts, and the feasibility, design and installation or evaluation consulting for rainwater harvesting projects.